Kamal’s ambitious venture on the life of celebrated writer Kamala Das has already courted unwanted controversy. The latest we know about the movie is that Manju Warrier has agreed to play the protagonist. According to director Kamal, Manju can easily get into the skin of the character as both share many similarities. Nothing Manju can’t do and we are waiting. Well, she is one of the few actresses who can pull off a character, with aplomb, irrespective of who the hero is. 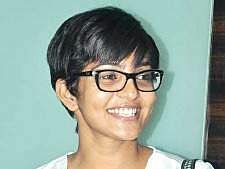 Parvathy gets together with Kunchacko Boban and Fahadh Faasil in Take off, a realistic take on the nurses’ crisis at Tikrit. Going by the first look, she has left no stone unturned to play a hassled soul. Anybody who remembers Amala’s act in Ente Sooryaputri can’t help but cheer when it was announced that she would be back playing a lawyer in debutante Anthony Sony’s C/o Saira Banu with Manju Warrier. Amala had earlier said that Malayalam was her favourite language and she was feeling nostalgic about returning to the industry after a long time. The movie, which will hit the screens on March 17, is one to watch out for. This is one movie that catapulted Kangana Ranaut into superstardom. So when Revathy announced the Malayalam remake, film buffs were thrilled. Amala Paul has been roped in to play the lead and we know this will be a milestone in her career.